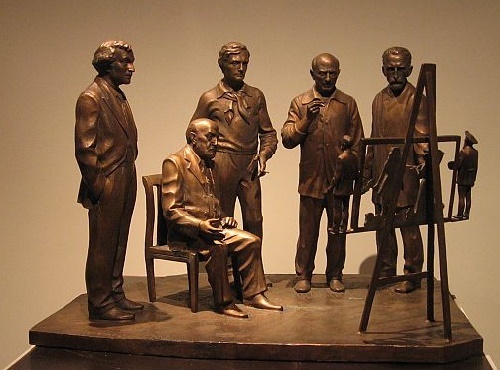 Favorite artists of sculptor Zurab Tsereteli embodied in a series of monuments to prominent artists of all time. 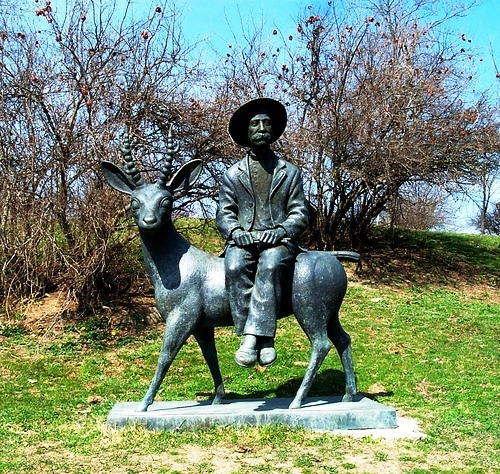 According to Tsereteli, they are – Kazimir Malevich and Modigliani, Georgian naive painter Nikola Pirosmani and French post-impressionist painter Henri Rousseau, Van Gogh and Matisse, Picasso, Chagall and Dali. And Tsereteli himself creates guided by these masters. He tries to look at the world through their eyes, and through the prism of their creativity. 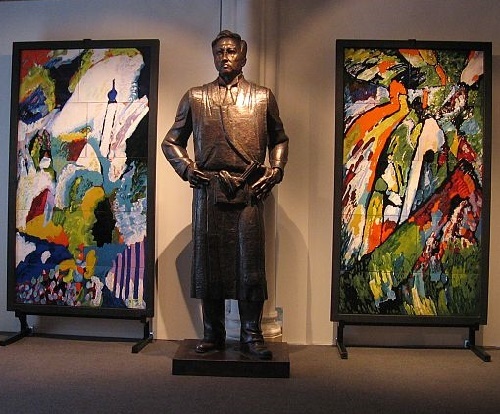 The series of monuments “My favorite artists”, part of which decorates the entrance to the museum shop on Bolshaya Gruzinskaya street, and part on Petrovka, while some other sculptures exhibited in galleries and museums. The exhibition “My favorite artists”, did not come out of nowhere, its plan hatched by the author for the decade. 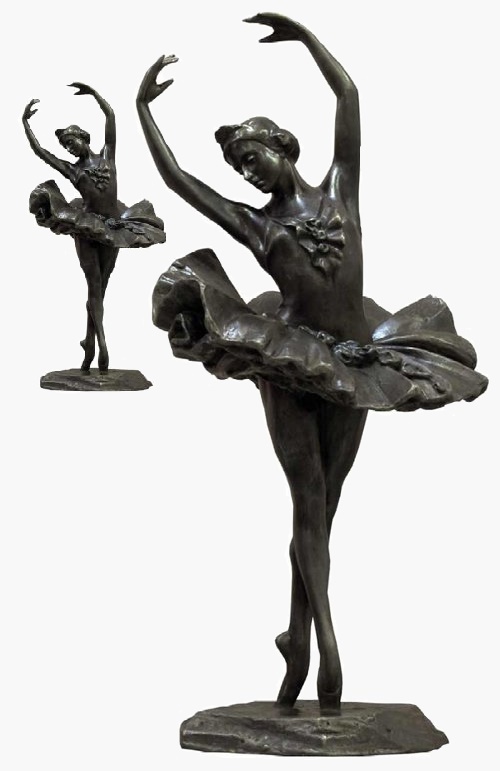 Birth of these sculptures was the result of years of his searching in art, and the creative freedom that his “favorite artists” taught him. One hundred years have passed since the day when Kazimir Malevich, standing in front of the newly started painting in his studio, suddenly, as if struck by thunder, rushed to paint the image with black … Thus, appeared Black Square – symbol of emptiness and death, and a new icon of the twentieth century art. Now the artist’s philosophy – a part of world history, and Malevich himself – a legend and one of the most expensive artists in the world. 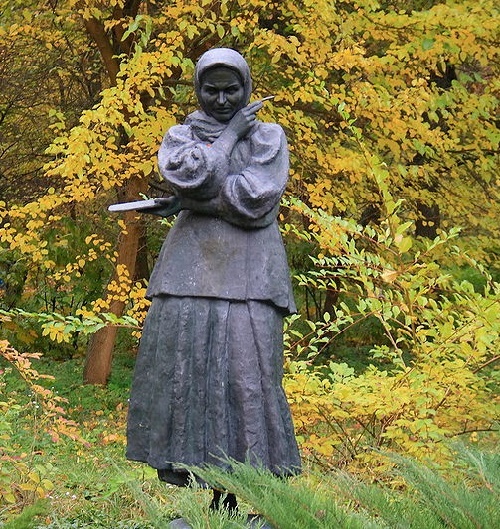 Looking at the black square, we can not forget that at the time of the creation of this horrible object, Russia was on the brink of revolution. This image is filled with threats and bad omens as if soon there will be something serious – as if the world will end soon. But … the legacy of the artist himself mysteriously absorbed in this very black square. 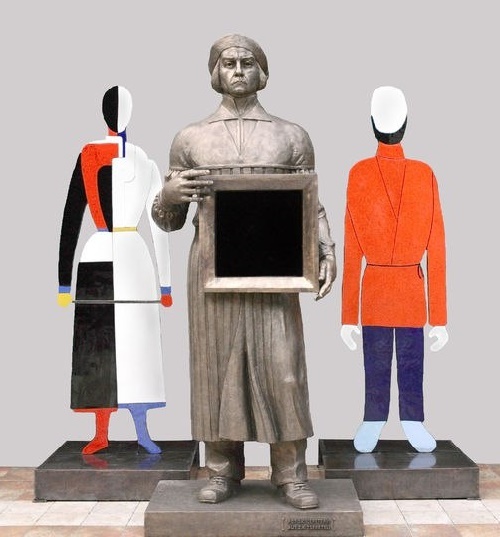 The disappearance and the long process of recognition of the grave of Malevich – respectively a strange fate for the artist.